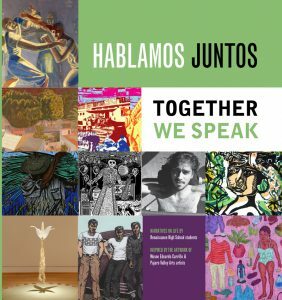 The Hablamos Juntos Project is an exciting co-venture between the online museum Museo Eduardo Carrillo and the Young Writers Program. 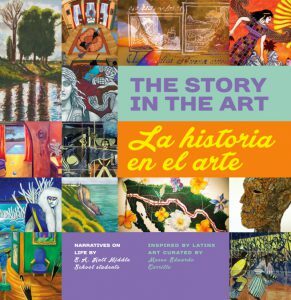 It operates in much the same way as the In-Classroom Project with one unusual exception: students are able to use the artwork of contemporary California Latinx artists to inspire their writing, providing them with the opportunity to be exposed to fine art and take the time to investigate and learn about that art. 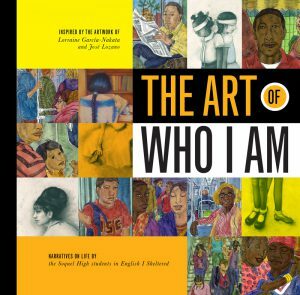 Using the artwork to inspire their writing affords students with the opportunity to engage in lateral thinking, making connections and associations to the artwork and their own lives. With the help of the Young Writers Program’s writing mentors, students also benefit from the support of trained writing mentors who encourage them to extend their thinking and make revisions with a wider audience in mind.